Peer Assisted Learning (PAL) involves children in school consciously assisting others to learn, and in so doing learning more effectively themselves. It encompasses peer tutoring, peer modeling, peer education, peer counseling, peer monitoring, and peer assessment, which are differentiated from other more general "co-operative learning" methods. PAL is not diluted or surrogate "teaching"; it complements and supplements (but never replaces) professional teaching--capitalizing on the unique qualities and richness of peer interaction and helping students become empowered democratically to take more responsibility for their own learning. In this book, PAL is presented as a set of dynamic, robust, effective, and flexible approaches to teaching and learning, which can be used in a range of different settings. The chapters provide descriptions of good practice blended with research findings on effectiveness. They describe procedures that can be applied to all areas of the school curriculum, and can be used with learners of all levels of ability, including gifted students, students with disabilities, and second-language learners. Among the distinguished contributors, many are from North America, while others are from Europe and Australia. The applicability of the methods they present is worldwide. Peer-Assisted Learning is designed to be accessible and useful to teachers and to those who employ, train, support, consult with, and evaluate them. Many chapters will be helpful to teachers aiming to replicate in their own school environments the cost-effective procedures described. A practical resources guide is included. 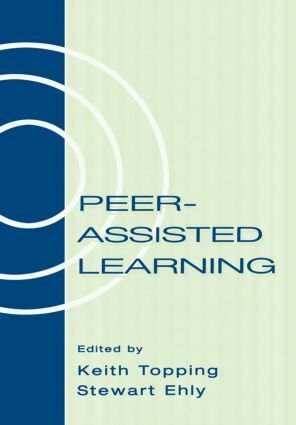 This volume will also be of interest to faculty and researchers in the fields of education and psychology, to community educators who want to learn about the implications of Peer Assisted Learning beyond school contexts, and to employers and others involved in post-school training.